It’s time for yet another weekly update. This week we have another production update for you, and some cool other news to share! At the moment, Quality Control is still full on the way but unfortunately hasn’t finished yet. As a result, we have a slight delay, but we expect to be able to ship out the first units for non-European orders this week. Please note that all European orders have to be delivered to our warehouse first, so the expectation is that these will be dispatched to you by the end of next week. 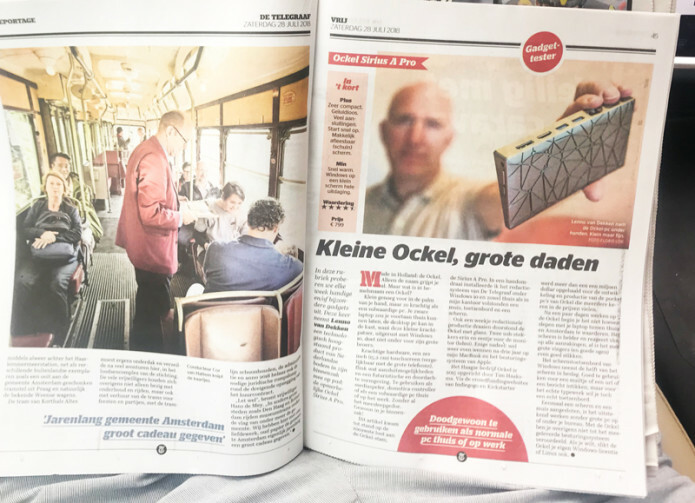 Last weekend, we had a full-page publication on the Sirius A Pro in one of the biggest newspapers in The Netherlands: de Telegraaf. The reporter who wrote the article got to test the Sirius A Pro extensively, and was quite pleasantly surprised by the tiny but powerful pc, resulting in a 4.5/5 star rating! Back in June a lot of you filled in our new backer survey. We’ve received a lot of great feedback, and we’re pleased to tell you that based on the information you’ve given us, we are working on a new project that will take our groundbreaking approach to the next level. The details will be shared with you shortly, so stay tuned!